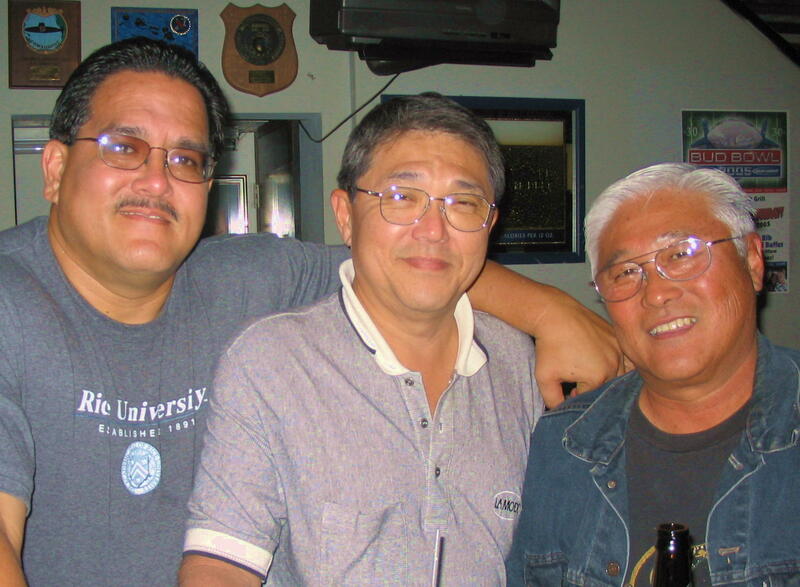 This photograph was taken on January 9, 2005 at Jon Iwashita’s retirement party. The photograph show three maintenance technicians, Harold “Kahi” Hewett III, Gary Soma, and Thomas Hirao. Kahi passed on July 27, 2008 after a long battle with medical challenges. Gary relocated to Seattle, Washington, and Tommy is still in Hawaii. Three great aircraft maintainers who keep the 154th Wing flying.